Google Fi is an MVNO, or mobile virtual network operator. They don't own any towers, but they do operate the website people use to sign up for services, billing, and customer support, but that's really it. Who really provides the service behind the Google Fi name? For compatible Android phones, it's T-Mobile and Sprint, with some creative switching between the two to provide the strongest signal to the phone. 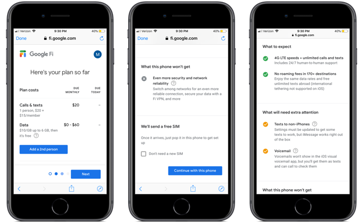 The iPhone on Google Fi is provisioned by T-Mobile, so, ideally, you need a compatible iPhone in order to use the service -- and which particular model you need varies per model year. Google Fi is affordable. Service for unlimited text and calls starts at $20, and data is $10 per GB, up to 6GB, after which data is free. Google doesn't charge in $10 increments, but instead charges for the data used. As you add lines to an account, the free data threshold increases. For example, if you had 4 lines on an account, the calls and text would cost $65, the data level at which it becomes free is 14GB, so the maximum data cost would be $140. All in, that's 4 lines for $205, at the most. One of the other things that attracts people to use Google Fi is its behavior when traveling internationally. You can use your phone for texts, and data outside of the US just as if you were in your home country. There is a $0.20 per minute charge for calling over cellular, and calls placed over Wi-Fi on an Android handset are generally no additional charge. This is where we get into iPhone being different. At least for now, you're on T-Mobile's network, and can't use Wi-Fi calling to make costs cheaper while traveling internationally. Additionally, in order to get MMS working, you have to manually edit the APN settings in iPhone. Google Fi conveniently includes a printed card showing how to do this. We signed up for Fi through fi.google.com and once we received the kit with the Google Fi SIM card, SIM ejector tool, and printed card explaining MMS setup, we began. 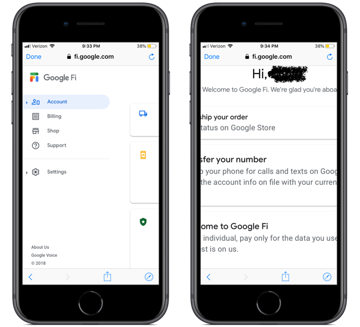 We installed the Google Fi application, signed into it with our Google account, and the app began to step us through setting up the APN details to get MMS functioning. When we missed one of the steps, the app told us that we hadn't set it up correctly. Once we did correct the settings, the app let us know we'd done it right. A potential annoyance is that we will probably have to do this setup again. When Apple updates carrier settings, they will overwrite this configuration, and we'll have to go in and change it back. As we write this, the landscape for carrier messaging is changing. Google has abandoned Allo, their text messaging platform analogous to Apple's iMessage, and carriers are planning to switch from the antiquated SMS and MMS to RCS, or Rich Communication Services. 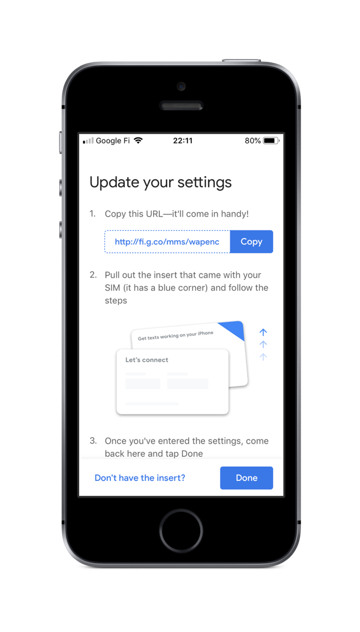 RCS gives some of the same benefits of iMessage, including read receipts, but doesn't provide end-to-end encryption. Sprint, T-Mobile, and Verizon have all rolled out RCS in a limited form, but AT&T has yet to at the time of writing. Apple hasn't said either way whether or not they'll support the messaging protocol -- but there are suggestions that they are at least talking to the organizational group, so we'll have to wait and see how this all shakes out. 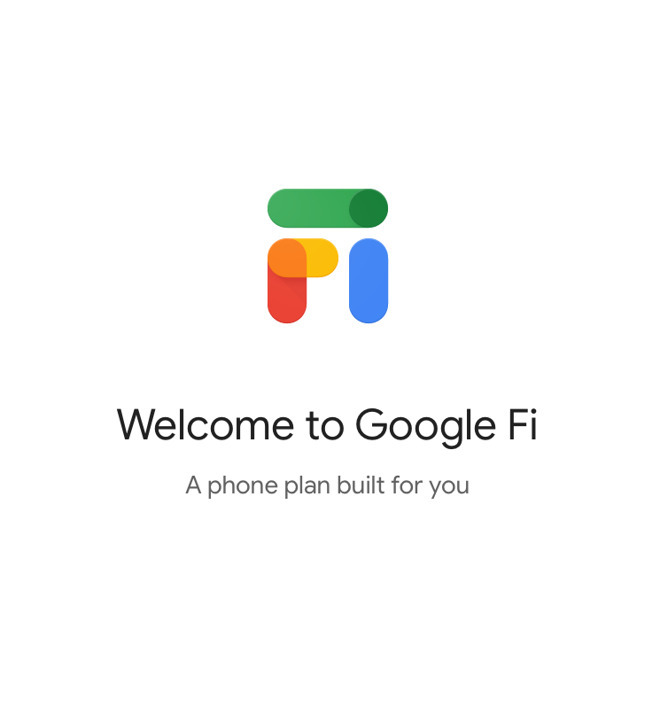 We signed up for Google Fi under a promotional offer that claimed to give $200 in credits. We activated and were billed shortly thereafter. When we questioned the bill, a Google representative told us that we had overlooked small print, stating that we'd have to maintain an active account for more than 40 days in order for credit to start being applied. No carrier is perfect, of course, and everybody has tales of horror saying that X carrier is terrible and they'll only use Y, with any carrier able to be plugged into X and Y. In Google Fi's favor, it's surfaced in recent reports that carriers have been selling user location data to third parties without any oversight, and Google forbids T-Mobile and Sprint from selling the data of their Google Fi customers. All in all, the service is mostly easy to activate, is affordable, and has some interesting international calling features. If that has value to you, and you already own compatible and unlocked gear, Google Fi may be worth considering especially if you're a light user of mobile data. I just don’t understand how this is better than T-Mobile. T-Mobile cost the same, has no charge for data overages, and free texting and data in most countries like Google Fi. Then T-Mobile has some advantages such as promotions every Tuesday, sometimes discounts on equipment email etc. im paying T-Mobile $120/month for 4 lines. Two of them are almost always abroad. Google Fi is more trouble than it’s worth... no iPad support. Google Fi takes more data. I'm sure I'm missing something, because, with WiFi so widely available (hotspots all over, at least in Europe), why would this even be needed, with things like Viber, WhatsApp, FaceTime, Skye, Zoom, and such available for everyone for free? Of course, I'm talking about "most users", not about heavy hitters needing best service everywhere all the time. I'm puzzled as to why anyone would sign up for this. This could well be one of the next "google services" to get closed down if they don't get a few million subscribers but honestly I think their rates are in the 'How much????' zone. VERY slow data in most countries, unlike Google Fi. Plus the integration with Hangouts that lets you text and call from a computer, tablet, or other phone. I'll take this over Tuesday Movie Tickets any day. It seems that neither the author nor some commentators are pre-paid users or familiar with its quirks. Going the pre-paid/MVNO route has its advantages, mainly a much lower cost, but it does come with its share of compromises, and a need for conscientiousness and attention to details. Pre-paid is not for those who need hand-holding or afraid to get their hands dirty. Honestly? 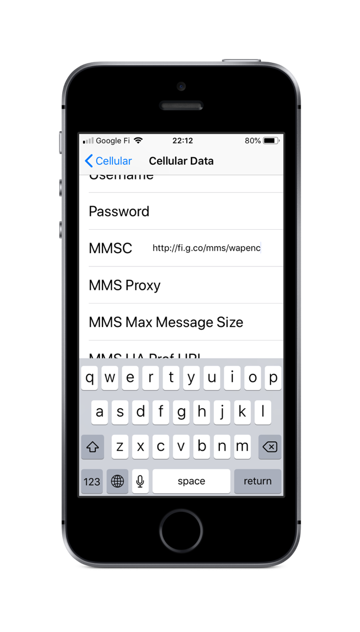 Having to manually apply MMS settings is no harder than setting up an email account, involving entering some server addresses into a few fields. What's the big deal? That kind of manual APN setup is not unusual. No Wi-Fi calling, VoLTE, or similar features? Not unusual. Some pre-paid even carriers lack VVM (which the author fails to address with regard to Fi). Some don't even support MMS on iPhones, which would require jailbreaking to access the APN settings in the locked-down iOS world. Apple and the carriers blame either other for that situation, but it likely involves money. As noted above, data-only SIMs for extra devices are a Fi free benefit, at the same metered cost. What does a supplemental data-only plan cost from a postpaid carrier or otherwise? A road warrior may see benefit from that service, but an LTE iPad that lives mostly at home, or at the coffee shop that has Wi-Fi? The value isn't there. International calling allowances, or low rate roaming can be a part of some pre-paid services. One won't be paying the international roaming ransoms nor fall into the horror story huge bill traps like uninitiated users can when on vacation. Personally, I advocate buying local tourist SIMs, but almost everyone I've tried to counsel about traveling with their phones haven't the vaguest idea of their options in that regard. Customer service can be sketchy, but I'm nor sure it's a bed of roses in any case. Yes, pre-paid/MVNO services aren't for everyone, and requires more research to choose the desired benefit/compromise ratio. It's part of the game. But for me personally, the difference in cost vs. a postpaid line covered 2/3 the cost of my new unlocked phone, and I'm not beholden to any member of the comm cartel in almost any way, shape or form. I own my device and am free to use it as I wish, at any time. People have been conditioned to accept only what the incumbent carriers' business model offers, and they still wield considerable clout. It doesn't have to be that way, but will remain as long as some have their head buried in the sand and don't demand a more competitive environment. Reddit is full of threads with people who had billing issues with Google Fi. Some are out $1,000s for phones promotions that they never got, they are at Google's mercy. If you ever initiate a chargeback on any of Google services (including Fi), Google will ban all of your Google accounts including gmail and android. A lot of people found this out the hard way. Imagine Apple banning your iCloud account if you chargeback an Apple Pay transaction, that is what is happening. I just got back from Tokyo. I had 40meg up and down. My wife’s T-Mobile was basically unusable. For wifi calling I just used Vonnage. Worked fine. I have Vonage at home with international option and use iPhone w/ Vonage extensions. Flawless! Headed to Punta Cana Feb 1. That will be the acid test. MVNOs are common here in the UK, and my experience with them isn't at all the same, mostly around manually applying any phone settings. Carrier profiles are automatically loaded, they might at most ask if you want to install them and force you to click a button or two in order to accept the new settings, but other than that, even changing them is merely loading a new profile, hardly rocket science. What about this Google service requires it to be different? I'm confused. Of course you can change all the settings manually, but why would you? Seems a real pain in the arse what you guys went through, very strange that even Google can't make it easier. International Roaming? - Fail edit: most carriers have that. Pixel 2 XL user currently and my wife has a Pixel. I pay $35 for two phones unlimited talk/text cancel anytime and the data rates are fair. How could you not save money and switch? I just cannot bring myself to use a Google product. I use Duck Duck Go for search! Not a word in the article about privacy issues. This is Google we’re talking about here! Does Google Fi track phone numbers? Websites? IP addresses? Text msgs? Does it keylog? These seem like obvious questions. Then use the obvious solution for finding your answers: Do a web search, "Google Fi Privacy". With the add-on of their VPN service back in November it "makes Project Fi arguably the best wireless carrier you'll find right now in terms of privacy." Even if you choose not to use their VPN Google's default setting that would allow marketing of "other products and services' based on your use of the Fi service is OFF. You as a user would have to actively find and change the setting to on. That's completely opposite other carriers who are always tracking you for marketing purposes among other reasons (some are legally mandated - Read up on CPNI) and at least until recently selling much of your information, including your travel stats and recent locations, to 3rd parties. To their credit the AI article notes that Google forbids T-Mobile and Sprint from selling the data of their Google Fi customers. Yes this is Google we're talking about. I have used T-Mobile in Japan (all over), Central America, Iceland, the UK, France, Belgium, Netherlands- and unlike your experience, it worked great. Maybe it’s slow in all the other countries. Although T-Mobile is promising you 2G everywhere, you are actually getting LTE or 4G. At first I thought something was wrong and I’d get charged - but no worries- that’s just how it works. Sometimes it has been slow but it’s NOT the norm. And the best Tuesday stuff has been free pizzas, burgers, and sub sandwiches - though the free food isn’t too often. I am a customer of a MVNO service called ho.mobile set in Italy, and I am charged 7.99 €/mo for unlimited calls and unlimited text plus 40GB of data under 4G network with a bandwidth limited to 30Mbps D/U (well, not very speedy but, believe me, enough for a descent browsing experience). At this time, the plan has been upgraded to 50GB/mo and price has been increased to 9.99 €/mo, as well is decreased to 5.99 €/mo if a new customer comes from another MVNO. I mean, does really Google Fi look so affordable as written in this article? It sound quite similar to Consumer Cellular -- which I dropped because they won't support the LTE Apple Watch. They require a SIM card.